Long-running Canadian metallers INFERNAL MAJESTY have inked a deal with High Roller Records for the release of their fourth album, "No God". The CD's title track will be made available for download and streaming on October 15. Commented INFERNAL MAJESTY vocalist Christopher Bailey: "We are extremely excited to be working with High Roller Records and are honored to have them release 'No God'. We put a lot into it physically and mentally and feel it has a classic INFERNAL MAJESTY undertone while artfully expanding into episodes of mayhem. [It was] recorded at our studio in Vancouver, Canada and produced by Steve Terror, Chris Bailey and Ken Hallman. We enrolled the masterfull mixing skills of Chris ''Hollywood' Holmes and believe this to be our best works since 'None Shall Defy'. The album will make INFERNAL MAJESTY history spanning three decades of metal cacophony. An official release date announcement will be coming." 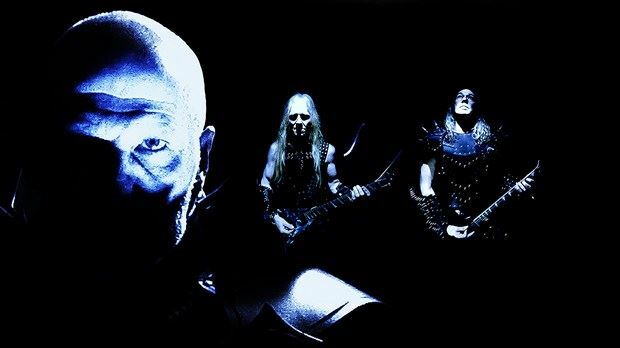 INFERNAL MAJESTY's video for the song "House Of War" — taken from "No God" — can be seen below. Bailey stated about the track: "'House Of War' is a prophetic vision into the apocalyptic modernity awaiting human kind. INFERNAL MAJESTY performed "None Shall Defy" in its entirety with special guest vocalist George "Corpsegrider" Fisher from CANNIBAL CORPSE on August 20, 2011 at Rickhaw Theatre in Vancouver, British Columbia, Canada. Asked in an interview why INFERNAL MAJESTY was dropped by Roadrunner Records after the release of "None Shall Defy", Steve Terror said, "At the time Roadrunner was just starting out in the States so they didn't have the clout that they have now. There have been many bands that have been unhappy with Roadrunner and I don't think we are any different. I think what really happened was, [former INFERNAL MAJESTY drummer] Rick [Hughes] went to New York to the label and told them that we didn't want to tour, but to put out a second album instead. The rest of us didn't find this out for about five years after the fact. The label wanted bands that wanted to tour so they became disinterested with us. You have to remember that at the time labels where signing everyone in sight and not really paying much attention to each band."